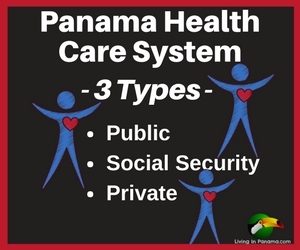 As I have mentioned elsewhere, Panama has 3 health care systems. Although, you will most likely use the private system I am providing information about all 3. This is Panama’s National Heath Care which is administered by its Ministry of Health. The are designed to serve the poorest of the poor. You can easily identify their clinics. They are all painted white with a green and yellow logo and the word Salud (health) on them. You will find these clinics in all but the smallest villages. It is a basically “free” or “low cost” health care. You can expect to pay 50 cents to see a doctor, plus the cost of some more expensive medications. 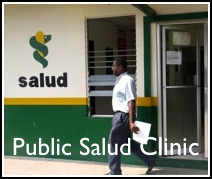 These clinics exist to treat Panama’s extremely poor, who are also mostly Indigenous. The indigenous population who rely on these clinics primarily live in remote and rural areas. Unfortunately, the more remote the location, usually translates into lower quality of care. The best and brightest aren’t choosing to live in those locations. Like most government run enterprises in Panama, the National Health care system is plagued by inefficiency and bureaucracy. However, it is a great compliment to Panama that they strive to provide health care to the poorest of the poor. It is a hard job and they dedicate a sizable chunk of their budget to make it a realty. You don’t have to be poor to be treated at these clinics. When we were traveling we went to one such clinic in Boquete. One thing that was a little troubling to us is that we were whisked right in to see the doctor even though other people were waiting. We were stunned at the low cost we paid, we went for a minor reason and could not fault with our service. 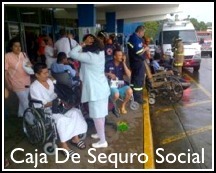 Most working people, and their immediate family, have access to the Social Security health care system administered by Caja de Seguro Social (CSS). Everyone who works in Panama is required by law to pay into the Panamanian Social Security system. However some workers ask their employers not to do it because they want a higher paycheck now. By paying into Social Security an employee is both gaining immediate access to health care each month he or she works, they are also putting money into the pension system that will kick when they retire. About 70% of Panamanian’s use this social security system. Panamanians are huge believers in going to the doctor about the slightest problem. Which means they often go to the hospital. At first when you hear that someone’s brother had to go to the hospital you say, “oh I am so sorry. What is wrong?” You quickly discover that in Panama people go to the hospital for the slightest aliment. The social security system is mostly comprised of hospitals, so they go to the hospital to see a doctor. Keep in mind that all doctors, even those in private clinics, are required to attend at the local social security hospital. Some doctors only attend at social security hospitals. The quality of care can vary greatly depending upon the doctor you draw. Long lines, understaffed, and plagued by inefficiency and bureaucracy. Often doctors prescribe drugs that are supposed to be “free” but the Social Security system doesn’t have them, so users must buy them at pharmacies. Pharmacies sell drugs here by the pill. So if your doctor prescribes something, you buy only as many as you can afford, when you can afford them! I wrote about one visit we made to the emergency room at our local social security hospital, read about it here. 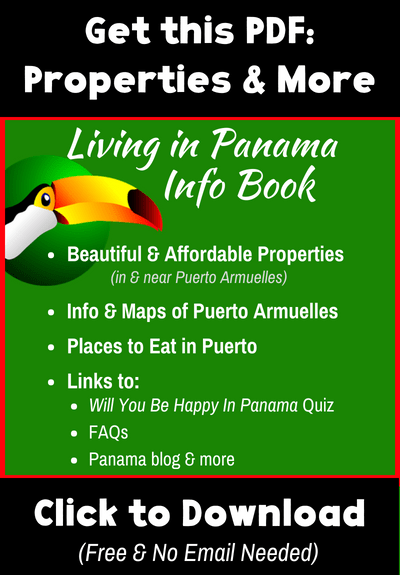 This is the system used by many middle and upper class Panamanians, by expats, and by the increasing number of people who are coming to Panama on a “medical tourism” trip. If you don’t want to wait for days, weeks, and sometimes months for a procedure at the Social Security hospital, go to one of the private hospitals. The private system is more expensive, but it is alot faster, and you will more often find doctors who speak English. Although the private system is more expensive, relative to health care in the US, it is affordable. Our go to clinic/hospital is Mae Lewis in David. We have had nothing but good service there. 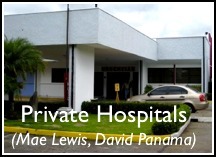 Panama City has excellent private hospitals. If you cannot get something done in David or elsewhere in Panama, Panama City usually offers it. Often the same doctors work in both the public and private systems. Find out other aspects of the health care in Panama, visit our Health Care in Panama page.